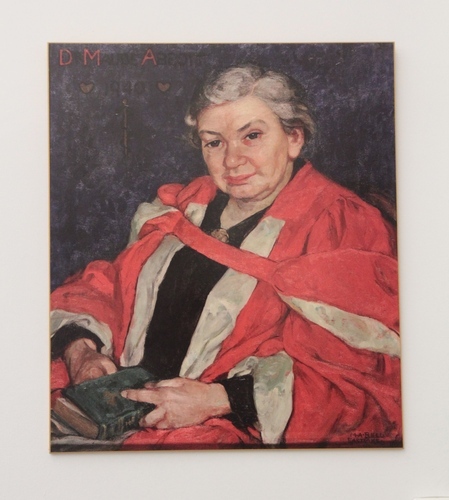 This oil-on-canvas portrait of Maude Abbott hangs in a room of the Maude Abbott Medical Museum in the Strathcona Building at McGill University in Montreal. It was painted by artist Mary Alexandra Bell Eastlake, a childhood friend of Dr. Abbott. It is usually dated back to 1936 even if on the painting you can clearly read the date "1940", the year of Abbot's death. 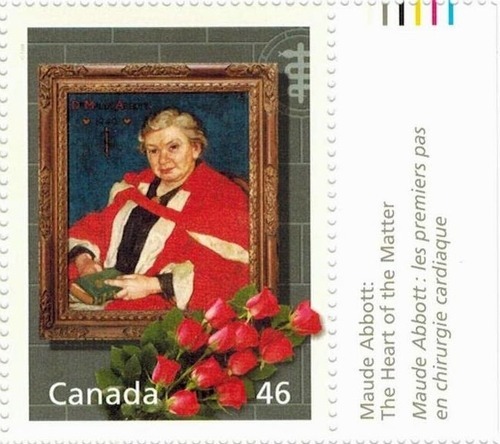 This portrait of Abbott in her McGill doctoral robes was reproduced on a 46-cent Canadian postage stamp in 20001. 1. See Portraying Maude Abbott (McGill Med e-News, February 2017).